Several officials work multiple sports from Pop Warner to the pros. There is quite a history of NFL officials working major college basketball. 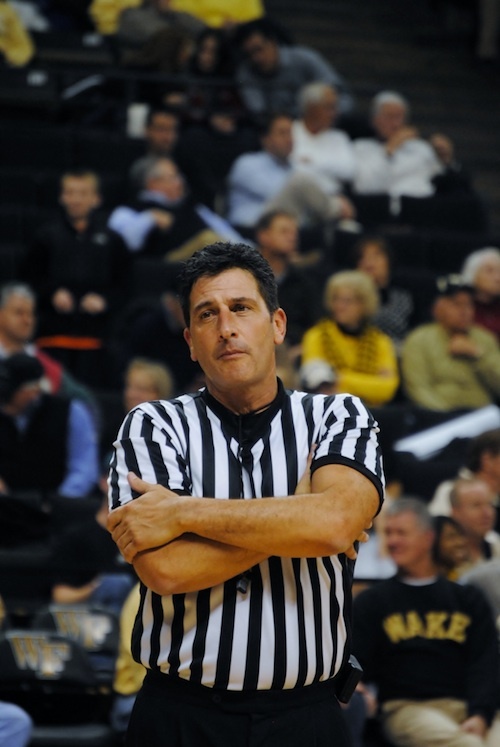 Currently, Gene Steratore (pictured) and Bill Vinovich work major college basketball. But they are just the current in a long line of pro football officials working college basketball. Over the years Jim Tunney, Ben Dreith, Fred Silva, Jack Fette, Robert Wortman, Tommy Bell, Tom Fincken, and Don Wedge have worked major college basketball. Several others, like Jerry Seeman and Don Hakes worked sub-Division I basketball. Vinovich and Steratore have both worked the NCAA men’s basketball tournament, but they have a ways to go to match the record of three former officials. Fincken, Wortman, and Bell have all worked the Final Four, and Wortman is the only official to work both a Super Bowl (XII) and the NCAA Men’s Basketball National Championship (1976). I know they won’t answer the question, but I wonder who is more difficult of a coach work with – a college basketball coach or a NFL head coach?! Poll: Which rules changes will owners pass? Pingback: New York Jets Flight Connections 3-23-14 - Sport Spy – Get Your Sports On! According to Wikipedia Tommy Bell worked the 1959 Final Four.